"Di ba, taga-Brazil sila? Sosawang-sawa na siguro sila sa beach... Para maiba lang siguro, sa mga malls," said John Estrada when asked where he plans to take Priscilla's parents. 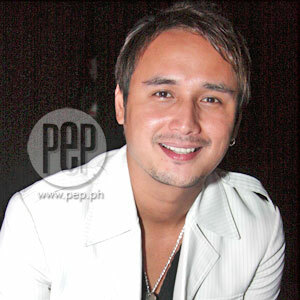 John Estrada has signed up with TV5 for the first season ofa new sitcom called Everybody Hapi. He stars along with Eugene Domingo,Roxanne Guinoo, Long Mejia, Alex Gonzaga, and Matt Evans for the TV show that will air every Sunday at 6p.m. During the festival-themed party of TV5 at the A-Venue Hallin Makati City, PEP (Philippine Entertainment Portal) was able to talk withJohn Estrada regarding his relationship with girlfriend Priscilla Meirelles.John has been going steady with the Brazilian beauty queen for over a year andit seems that things have been going smoothly for him and the Miss Earth titleholder. What are the couple's plans this December? "Same thing lastyear, hindi naman kami lumabas last year. Pero I think darating yun parentsniya, so baka siyempre ikot namin sila," says John. Is he nervous about meeting her parents for the first time? "Medyo kinakabahan," admits John. Where does he plan to take them? "Di ba, taga-Brazil sila? Sosawang-sawa na siguro sila sa beach... Para maiba lang, siguro sa mga malls." The actor revealed that the parents of Priscilla will be arriving afterChristmas and will be here in the Philippines for about two weeks. With thearrival of Priscilla's parents, does it mean that the couple are planning formore serious things in their relationship? John denies this by saying, "Ah no, every year naman kasi,gusto nila pumunta dito. Mga two years na nilang planong pumunta." Does he plan to introduce them to his own parents? "Uhm,wala pang ganung bagay. Hindi naman sila [her parents] nakakaintindi ng English,so mahirap. Sabi ko nga kay Priscilla, siya yung maging translator namin." When asked if he plans to go to Brazil, he said that heactually wanted to go there but since Priscilla's parents are already arrivinghere, he decided to postpone his trip. John then revealed that Priscilla is currently taking up Nursing at a schoollocated in Bonifacio Global City. The couple celebrated their first year anniversary last May.